Watch Out For The Predator 18+ Boots This Football Season - Bold Outline : India's leading Online Lifestyle, Fashion & Travel Magazine. 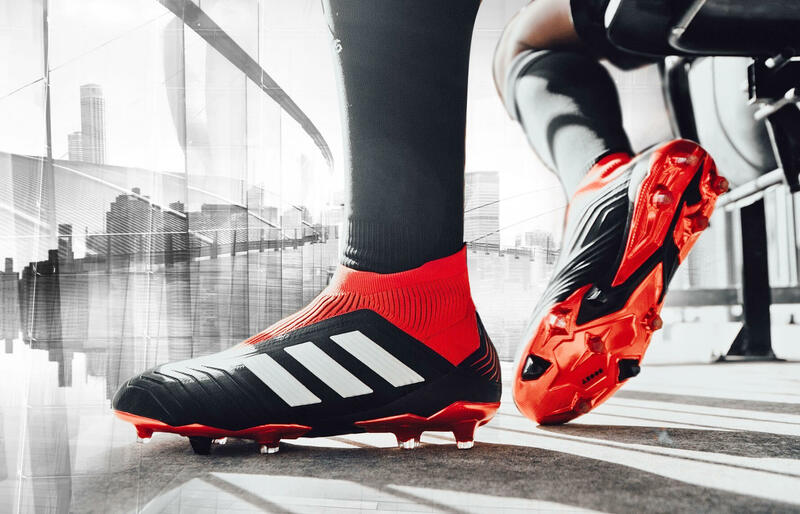 The global leader in football, Adidas, has unveiled an all new Team Mode pack, featuring additional colourways for the Predator 18+, as the 2018-19 season kicked off. The headliner of the collection, aka the Predator 18+, now comes in in a new black, white and red colour. To make it even more enticing, these boots will be worn on pitch by some of the biggest names in football, like Paul Pogba and Mesut Ozil. This will be a part of the Team Mode pack alongside NEMEZIZ, COPA and X silos. The Predator 18+ features a pure cut laceless system to deliver maximum surface control. A Forged Knit integrated bigfoot structure creates medial and lateral stability while a full length boost midsole provides energy return with every step. The boot also includes a Primeknit sockfit collar to ensure a supportive and comfortable fit and a layer of control skin to provide optimal grip. An anatomical upper mimics the shape of the heel to lock the foot into place. That’s not all, the Energy Mode Predator 18+ is also available as a cage shoe. The cage version features the same sockfit collar construction, purecut laceless upper and control skin as the on-pitch boot; along with a full length boost midsole and traction studs. The Predator shoe also comes in a lifestyle remake, taking it from the stadium to the street. The Adidas’ latest Team Mode pack is available now at Adidas.com and across all the retail stores.